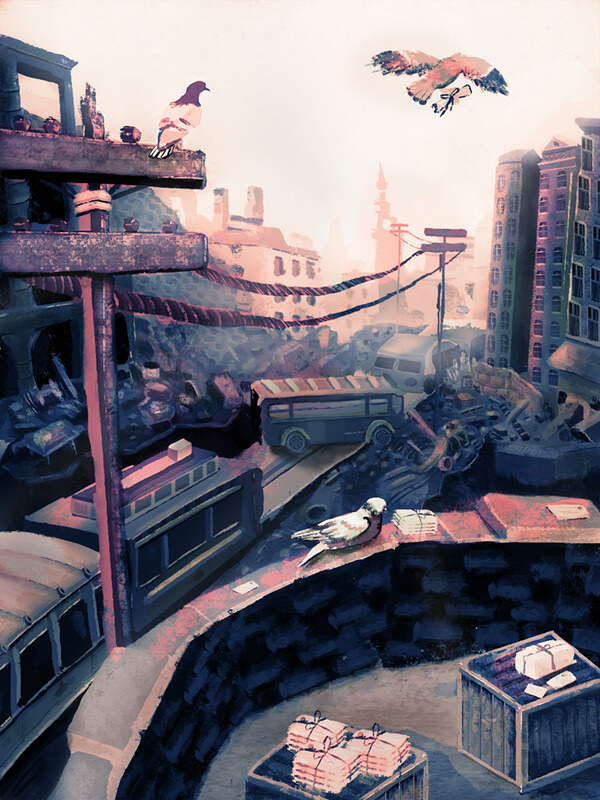 Scribbled up concept art of a very post-apocalypse-y city with pigeons delivering letters! Super fun assignment, and learned how to color with curves! Concept art of a post-apocalyptic city whose communication is entirely in the form of cute pigeons!